I’ve been thinking about buying a new lens for several years now, and I can never figure out what I want to get. I lost my EF 70-300mm f/4-5.6 IS USM last spring, when it decided to go for a swim, and picked up the 75-300mm as a quick replacement. I must say there is a noticeable difference between those two lenses. In my effort to figure out what Lens I wanted to purchase next, I needed to assess my style of photography, again. In my film camera days, I carried 5-6 fixed length lenses, but in the digital age, I’ve gone down to three. Mentally I had an idea, but I had no data to back up my real work environment. While in Adobe Lightroom, I realized I could use the EXIF data contained in the metadata of each file – Lens and Focal Lengths! This is a very fascinating look, at all of one’s images, over 31,000 in this one catalog! Needless to say, sorting by every focal length alone is a large grouping, but in my case, I looked for any Focal Length over 1000 images or spikes. Oddly, there is no spike around 55mm (473 images), which suggests that I never really used the 18mm-55mm all the way zoomed in. Here is an exercise: What if your Lens happens to cross over in their Focal Length? In this case, simply isolate/select a given Lens and Record the Focal Length numbers, which can reveal which Lens you actually used for a similar situation, and Thumbnails, just below. It’s a great way to remind you of what you did! In my case, it turns out to be the Canon EF 28-135mm f/3.5-5.6 IS USM, which is now verified with actual Lens data. That did not surprise me in the least, but which side of the Lens should I consider for my next Lens? 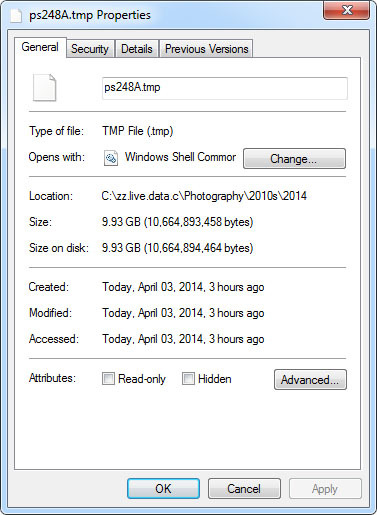 Clearly, my next largest ranges are 18mm (13.44%) and 28mm (13.78%) — about 27.22% of the images. At the same time do I look at the 70-300mm range, which is 18.29%, because I a shot 70mm+ 18.46% of the time? If this confuses you, don’t worry, because the more you dig into the data, the worse it becomes! I just wanted to highlight another aspect of Adobe Lightroom that might help you in your decision-making. Now if you have any ideas on what I should do about my Lens dilemma, please let me know via email. 07/17/2015 – In my morning reading, I ran into this site lightroomdashboard.com, in which you upload your Lightroom catalog file (.lrcat), and it will visualize your shooting habits. With a backup of my live catalog (1.27 GBs), I tried the “Drag-n-Drop” interface, and Chrome crashes. There is a Note that says they are aware of issues with 2+ GBs LR Catalogs. I would not be surprised their server(s) are being hit hard today. Need to check later. Playing with a 10.6+ GB File! This morning, I started to “stitch” together a panoramic photo that I had taken the other day in Dowlin Forge Park, right here in Downingtown. It is a series of (28) Canon RAW files (cr2) that were taken with a Canon T5i/700D, imported into Lightroom 5.3, and merged into a straightforward panorama image in Photoshop CS 6. The actual merge of the (28) 16-bit files took about 3-4 minutes, which was A LOT better than last time, where I had to break-up the (42) files into groups of 10, merge them into one file, and repeat until all the files were merged. Once the merged file was in Photoshop, with all 28 layers showing, my new machine was not even breathing too hard. Even with Lightroom and several Chrome instances, I was still only pushing 85% physical RAM and the CPU spiked at 15%! From there, I tried to “Save As” a Standard Adobe PSD, and got the standard error dialog, showing the 2GB file size limitation. Then I tried a “Save As” as an Adobe TIFF file, and this time the computer took a great deal longer, 5+ minutes, before there was an error, and during that time, Photoshop created a 10.6+ GB file tmp! 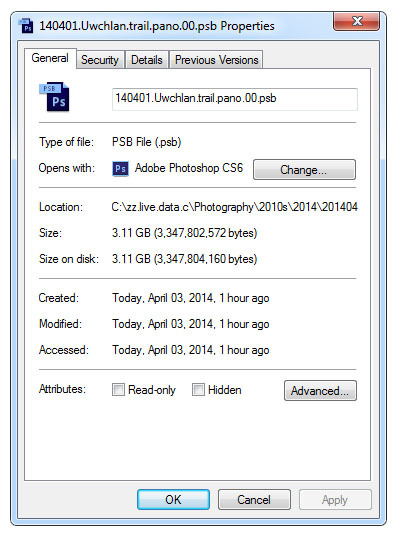 To date, this is the single largest file that I have “Saved” in Photoshop! Finally, I tried saving the file as a Standard Adobe PSB file, which is still a large file at 3.3+ GBs! Time to Flatten some Layers! With the Main PSB file open, I Flattened the Layers into 1, and did a “Save As” a PSB and then Re-Opened the Main PSB file, Flattened, and “Save As” again as TIFFs, and was very happy to see both files sizes were nearly identical at 638 MBs! I conducted this test mostly out of personal curiosity and to see if files have remained consistent since the last time I did this experiment. I expected the file size to go up, mainly because I was using 27-28 MB files created with the Canon T5i/700D vs 8-9 MB files with the Canon XTi. If I were to estimate, the same 46 shoots done in 2011 could easily reach 6 GBs as a PSB file, and maybe create a 20-30 GB temp file at the same time. Be sure that you have enough scratch disk space before you start. It should be obvious that if you know a file is going to reach over 4 GBs, save it out as a PSB and go from there in the rest of your workflow. The current maximum file file for an Adobe PSB is 4 exabytes – 300,000 x 300,000 pixels – 350 x 350 feet, which should keep you. 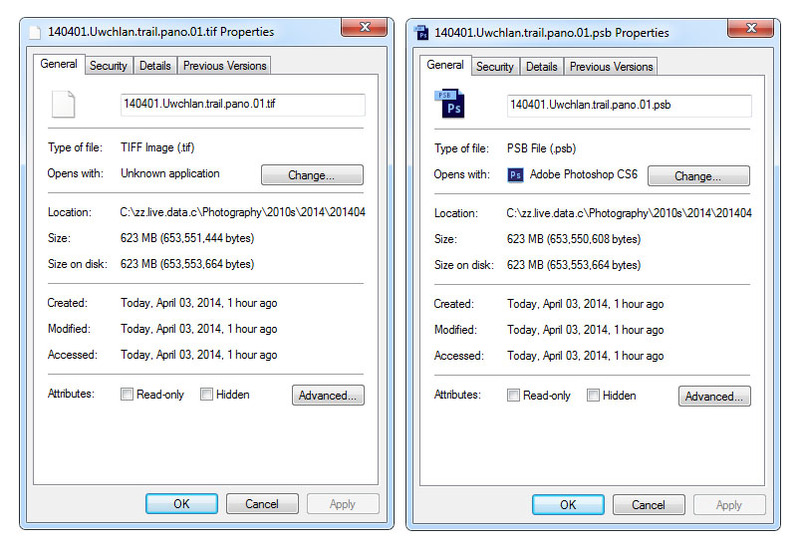 It is also nice to see that after Flattening, both PSB and TIFF files appear to be the same size. Personally, I would keep the TIFF files, mostly because TIFF is NOT a proprietary file format, and in the future, if I want to move the file into another program, it will be easier. Although I wrote my first post on PSB vs TIFF several years ago, I have yet to find out what IS all the Un-Saved data? Duplicate “colors?” Non-Human readable code? If you happen to know, please let me know. And finally, it should be noted, just like last time, the 2 PSB files do NOT show up in Lightroom, so you have to remember that they are there. The TIFF file that was created, after Flattening all the Layers, DOES show up in Lightroom. Adobe Bridge CS6 (5.0.2.4 x64) is able to show the Flattened PSB and TIFF, but NOT the larger Un-Flattened 3.3+ GB PSB file. Hope you enjoyed my little file size observations. If you have any questions or answers, please let me know!! It is always a pain to move to a new computer because there are so many files and settings that need to be redone for the user to really get productive again. With this idea in mind I offer the following tips and advice in regards to moving an Adobe Lightroom User from one machine to another. This guide is geared towards people who are technically proficient on the Windows operating system, but should be able to serve as a guide to those working in a Macintosh environment. If you have any other ideas or tips please feel free to send them my way! As any User of Lightroom knows, the Catalog and Image files are the heart of your work and business, and if you are moving to a new machine, you need to consider what to do with them as you move forward. There are several of options available to you, if your original catalogs and Images are still on the main “c:\” hard drive of your old machine. If both machines are still attached to a network, you can easily transfer the catalogs across, but that is going to take time, and chew up various network resources. If you remove the hard drive, you have two basic options, but before you begin, backup your files on the old machine in your normal manner. By simply taking the hard drive out of the old machine, and installing it into your new machine, is most certainly the easiest of the options, and also gives you a second HD spindle when dealing with I/O operations in Lightroom. But before you remove the hard drive, be sure to check the compatibility of data interfaces on your new machine – Can the new machine deal with the older IDE interface? An example I can give, is my new machines, that is based on the Asus Z87-Pro motherboard, which does not have any IDE connections. This is another good alternative, and does give you the flexibility to move to different environments with little issue, and also gives you the additional spindle speed during I/O, but is subject to the port speed when you plug-in, assuming that the chipset on the external drive is the faster of the two. There are three critical areas that need to be transferred to your new machine for it to work in a fashion that you are used to: Images, Catalogs and Preferences. As mentioned earlier, catalogs can easily reach several gigabytes worth of data, but does all that data need to be transferred to the new computer? Again Users of Lightroom know, and unless they have change the default settings, the program will prompt you to do backups, which are located in a sub-directory of the main catalog directory. By simply looking into the backup directory, one could easily save time and the amount of data that needs to be transferred, by simply cleaning out old unnecessary files, but this is completely user based. Just check to see which “Date – Time” named directories really need to be moved. Since this is most likely a new software install, none of your preferences will be in place, so where are those files located? Like all other User preferences, they are stored in the operating system’s Users profile directory, that is hidden through the normal interface, that can be easily accessed with a little forethought. Once you are inside Adobe Lightroom directory, it should be very easy to recognize which directories are most important to you. When I moved to my new machine, I used a combination of techniques described above. On my old machine, the Lightroom catalogs and images were already located on an internal secondary SATA hard drive, so I just removed the old hard drive, and installed it into the new machine. From there, I copied the images and catalogs (approx 275 GBs) to the root directory of my new machine, creating a new backup of the files. When I got to my preferences, I connected to my old machine across the network and simply copied the files into the associated directories. From there, I reconnected the Lightroom catalogs to the local main image directory, now located on the root of my main “c:\” drive. Finally, I rewrote my old robocopy script to include the additional external hard drive, that I added for redundancy in my backup solution. Some may argue, that having all my data on the “c:\” will produce bottlenecks, while I would agree in theory, I also have to wonder with my usage of Intel’s RST technology, reduces this as an issue. I have also, set the cache files of both Lightroom and Photoshop, to the extra space left over on my Solid State drive, as mentioned in another post. If you have any thoughts or ideas I’d be very interested in hearing from you. – I’m in the BIOs! – Installed OS in under 10 minutes! My current System Rates at 5.0… OOTB… New machine (Loong “Chinese Dragon name”) rates at 1.0… I have NOT even put in the OEM drivers yet, and it is still faster! First FB post from Loong! One has to LOVE a family that understands the deep and dark ritual of installing a new personal computer… The various incantations to be passed down from Father to Son… Well… It sounded good… Didn’t it? If you happen to have any Tips or Ideas, PLEASE let me know! Stay tuned for Updates as I go along! I have had my Canon XTi since 2007, and all during this time, I have used numerous tools to dust out the sensor chamber, including my old spray paint brush and compressor. But lately, the dust monsters have really taken a toil on my productivity, only increasing my touch-up skills, and it was during my processing of some foggy morning pictures, that I knew, something had to be done. Turning to my online connections on Facebook and Google+, I asked the question if anyone had done their own sensor cleaning, and if they had any tips, suggestions. While waiting for responses, I started my own research, with a reference page, as well as reading various reviews on Amazon, Adorama and B&H Photo. A great place to start, is CleaningDigitalCameras.com, which has a lot of comprehensive information on various tools and techniques. After reading various pages, I knew that I needed 1) a very careful “Dry” cleaning; and if that did not work, 2) a “Wet” cleaning with swabs, and the two main vendors to look at were VisibleDust and Photographic Solutions. I searched the internet for what it would cost me to get my camera Professionally cleaned, and although prices varied, be prepared to spend $60+ per cleaning, and being without your camera for a period of time, and in some cases, not as clean as you hoped (or paid for). So, I am looking for a “Beginner” kit that can offer me both a Dry and Wet sensor cleaning option that does not cost a great deal. The VisibleDust systems are very cool looking and many different options to suit your needs, and I almost purchased their Christmas Special, but after reading some of the reviews on Amazon, I became very hesitant. According to Photographic Solutions, they actually worked with NASA to develop the BrushOff system, and is endorsed by most of the major camera manufacturers. They offer two different “Digital Survival Kits“: Basic and Professional. The Basic offers the same basics as the VisibleDust Christmas Special, but one still needed a brush, and with that additional cost, the price for the two systems is about equal. The Professional version offers a Brush, Magnifying Glass and Air Blower, all in a nice nylon pouch for around $125.00 USD. I recently upgrade my Adorama account to a VIP status (what ever that means), and was eager to see if this might affect my order in any way. On Wednesday, December 26th, I placed my order for the “Photographic Solutions Pro Digital Survival Eclipse Kit #2” and opted for the 3-5 Business Day shipping for an added $3.95, and figured I would see my package early next week, just in time for the new year! Saturday (30th), the snow is still falling, and my son and I, are finally finishing the plowing of the driveway by hand, and in checking the mailbox, I was very pleased to see a package from Adorama! I know what I get to play with tonight! Finally, around 11PM Saturday night, the house is quiet, and I am able to unpack and examine my new toys. Knowing that I wanted to start with a dry cleaning, I once again reviewed the BrushOff video provided on the Photographic Solutions website. Note 02 – The video suggests placing a PEC*PAD on clean area, so I placed mine on top of the Sensor Swab box, and then added a couple of drops of ECLIPSE Optic Cleaner. Almost immediately, the ink from the box began to leach through the pad. I ended up using folded over white paper, and will seek a better setup. I used the included magnifying glass to first look at what I was getting into. I was pleasantly surprised to see, that it included a working LED light, and a magnification that was useful! Using the magnifying glass, I could easily see some dust, and first used the included small Giotto Rocket Blower, and checked again. I could still see some dust, so I decided to take the more dramatic measure of using the BrushOff. I very carefully whipped the sensor a couple of times, blew with the Rocket, and then checked with the magnifying glass again, again. 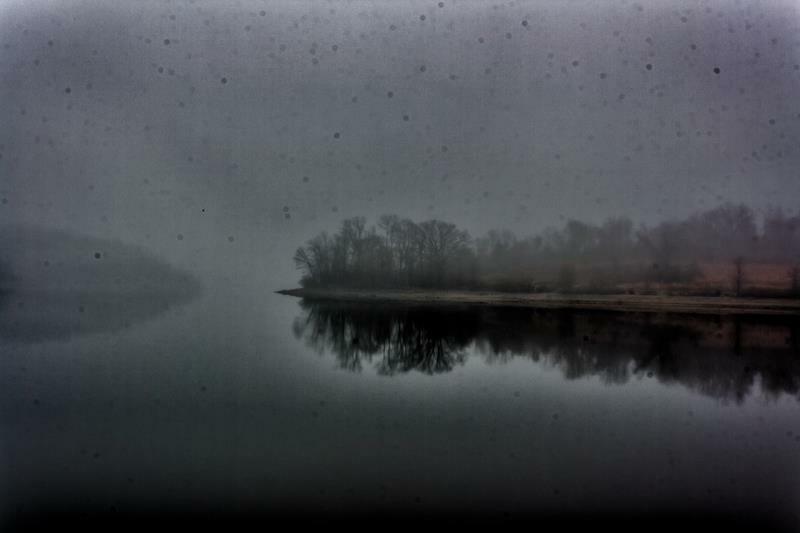 The dust appeared to be moving, but not off the sensor. Attaching the provided grounding wire, I ‘charged’ the brush, while tapping it firmly, and returned to cleaning the sensor. This time, there did seem to be a difference. After the sensor cleaning, I took a couple of test shoots in my office, but the lighting at midnight is not really a good test. What I could see, gave me encouragement. I really need to get out, shoot some landscapes at f22, and then see the results. It is still to early to make a definitive conclusion, but I have learned, it is not as hard as one might think, as long as you are very careful. I also learned several new ways to clean my camera’s sensors, which should also carry forward into future cameras. There alone saving on time and money associated with Professional cleanings, and my costs moving forward should be relatively low since I now have some base equipment, which should last for years.